Raoul SARGHINI, registered in the Rome Mediation Business Agents roll at n. 2281 since 1985, is the Company's founder and Chairman of the Board. He is an active part of the control and managerial staff of FIMAA ROMA, the oldest italian federation which for more than forty years has been actively occupied with the control, the quality of services and observation of the ethical rules which govern the professional activity of estate agents. ROME, Parioli area, Via Carlo Dolci. Penthouse with stunning panoramic view of Rome in a beautiful Villa in Art Nouveau style, surrounded by greenery, in the most exclusive Street of Parioli area, between the beautiful Villa Balestra and Villa Elia. 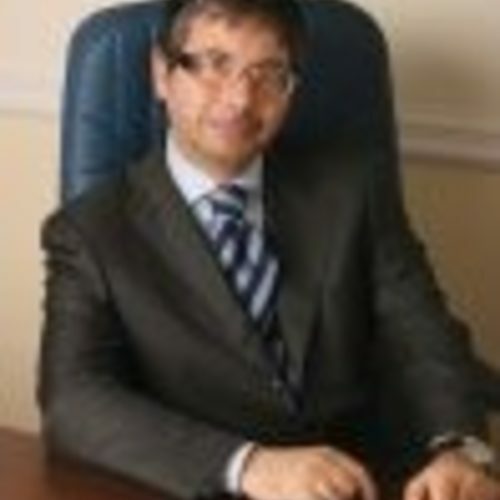 The Progest Group was founded as a consulting and property dealing company in 1982. A well-characterized structure from the professional point of view, both for the quality and quantity of services provided by the best operators in the sector, for nearly twenty years. The Group has maintained, over the years, its vocation as supplier of quality services, inside and outside its own network, with the aim of creating a "sole reference point" for users in a market where trust, ethics and rapidity are key elements in a choice of partnership, in simple or complex operations. In 1996, the Progest Group established a Prestigious Properties-Consulting Center, a highly specialized structure dealing in medium/top-level residential and business properties. Thus, the real network of the future was created: Qualified Estate Agents - contributing with their individual ideas and working experience obtained within the same "quality" project, form the first "integrated professional consulting body", able to meet all requirements inherent to property management. Prestigious Properties - Consulting Center in fact, with its operating offices, all of wich constitute real, all-round specialized consulting centers, wisely combines internal synergies with the experience of professional staff capable of satisfying every necessity, direct or inductive, in the logic of a global system in which the resources, competence and professionality of consultants, non only in the field of property, but also for fiscal, tax, commercial, administrative, financial, technical, legal, logistics aspects etc., are offered to the client. Industrial and Commercial Division: Business Properties is a specific division of Prestigious Properties, in which context only the commercial, industrial and management properties of large dimensions are handled (minimum surface: 1.000 sq. m.) This division also provides advice and continual monitoring on the market, besides the following services: . Evaluations for property sales . Co-ordination of customer needs . Co-ordination of builders and administration . Co-ordination of consultants . Feasibility studies . Project management . Monitoring procedure . Planning/programming . Approximate cost estimation . Management engineering Credentials and Associations: The Prestigious Property SPA is accredited at the Property Exchange of Rome - special company of the Rome Chamber of Commerce - a public body guaranteeing the transparency which allows buying, selling, leasing and evaluations on the entire home market. Since 1985, the Prestigious Property SPA is associated with and an active part of the control and managerial staff of FIMAA-ROMA, the oldest national federation which for more than forty years has been actively occupied with the control, the quality of services and observation of the ethical rules which govern the professional activity of estate agents.